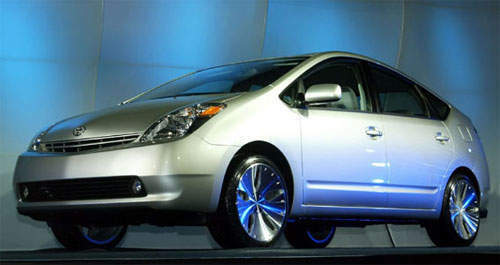 Toyota is going the hybrid path after it’s hybrid models especially the Toyota Prius have shown tremendous success. Toyota has sold 425,000 hybrid cars since 1997, which include the Toyota Prius Hybrid car, Toyota Camry Hybrid sedan,Toyota Highlander Hybrid SUV and a hybrid Toyota Coaster bus. Toyota Prius sales ahve gone up 133% in the first 8 months this year. Hybrid models are to be made more mainstream from now on and now just to serve a niche environmentalist market. Toyota’s President Katsuaki Watanabe says Toyota aims to cut production costs and halve the USD $5,000 price premium on such vehicles over the normal models. Toyota Executive Vice President Kazuo Okamoto also said Toyota plans for a 100% hybrid future, where all cars from Toyota will be hybrids. But he did not go into details on the timeline for this 100% hybrid model line-up.